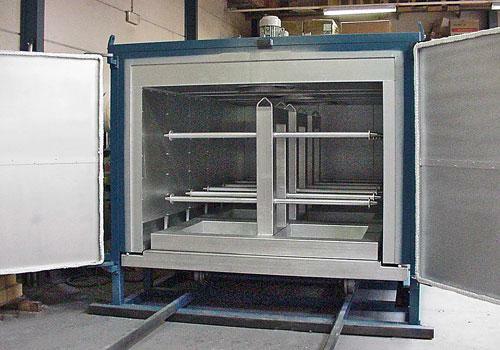 BTF designs and builds ovens for performance of fire resistance testing according several standards. 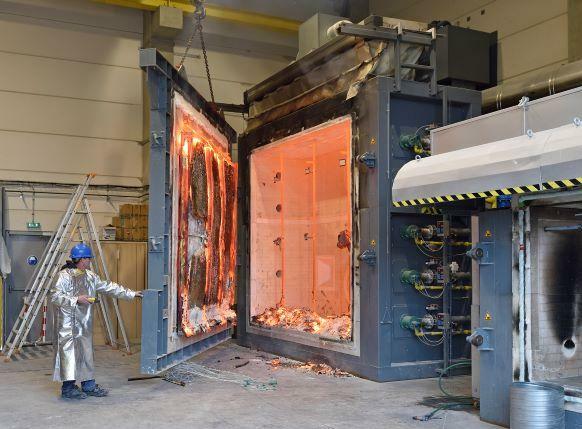 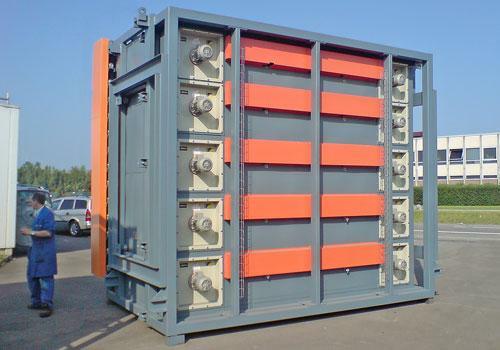 We have experience in the construction of vertical, horizontal and combi ovens which are built for fire resistance trials –under controlled pressure and temperature. 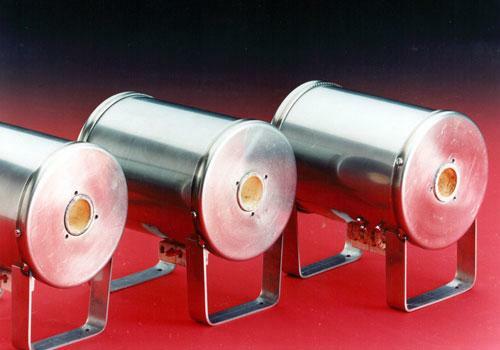 The furnaces are equipped with all the instruments needed for the monitoring, the acquisition and the processing of data. 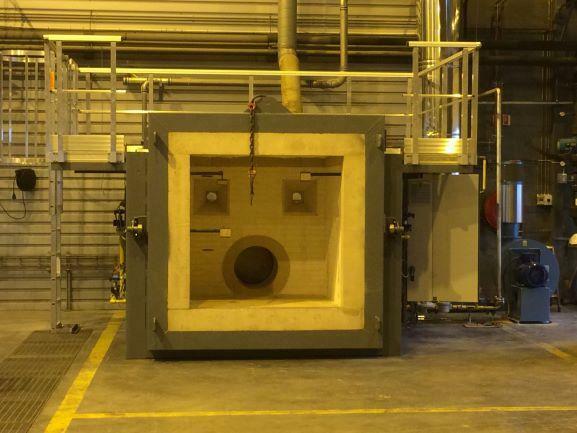 We continuously develop our own software using Siemens material for the automatic monitoring of the ovens during tests on the basis of a programmed curve and with data measured by the various sensors and probes (temperature, pressure, oxygen, radiation, deflection,…) The ovens can be flexible and equipped with a loadbearing system, an outdoor chimney with an extraction or treatment of flue gas, walkways, camera, deflection measurement system, etc. 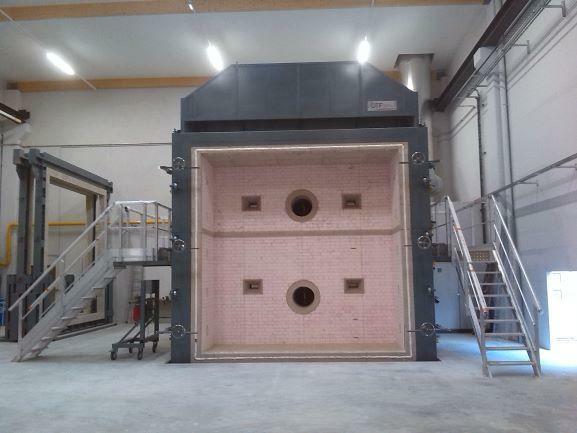 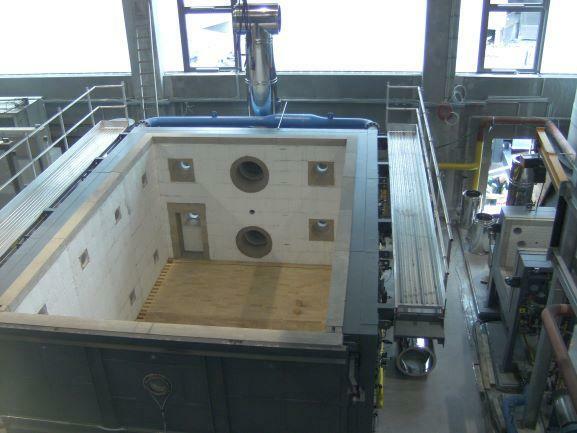 We also manufacture frames, removable walls and caps to modulate space in ovens according to tested samples. 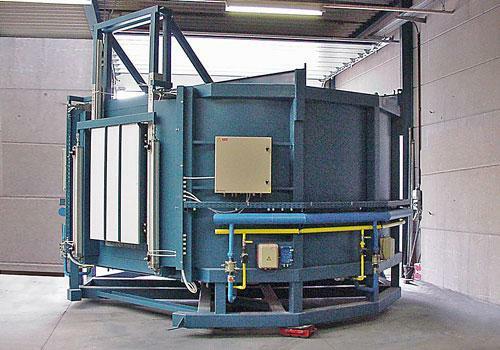 We move, adapt and renovate existing installation.